There always seems to be a new debate about the best way to teach math or which curriculum is the best. I also hear often from homeschool moms who love and feel confident teaching reading, yet feel uncertain and ill-equipped to teach math. Today I am not trying to put any debates to rest or say that I have the final answer to math education questions, I simply want to share some ideas to help you wherever you are, and hopefully show that teaching math doesn’t have to be difficult or scary. You may also be surprised to hear it isn’t as far away from teaching reading as it seems. 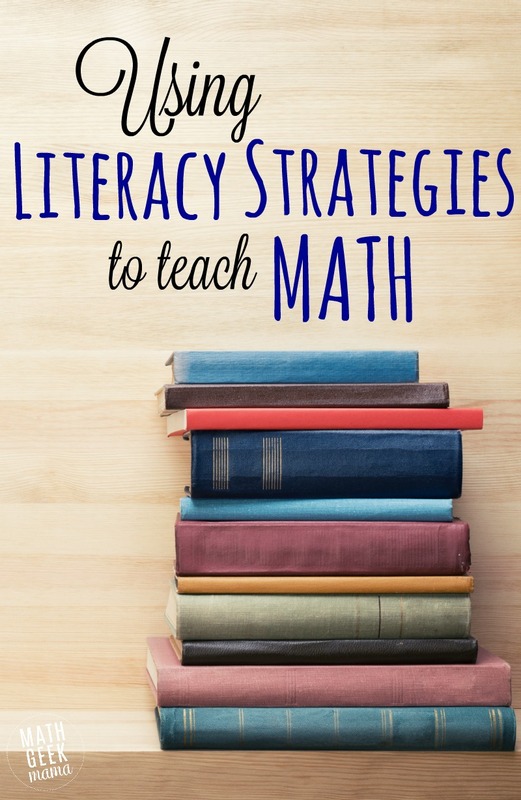 Because you can actually use helpful and recognized literacy strategies to teach math! I’ve recently been reading a book by Laney Sammons called, Building Mathematical Comprehension. 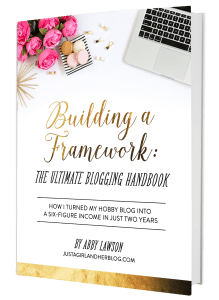 It is an excellent resource and if you are interested in learning more and seeing more examples and in depth analysis of these strategies, I highly recommend it. As I’ve read through and considered various literacy strategies, it has struck me that applying these strategies to math seems so obvious, and yet, it’s not something I have heard or thought of before. For instance, she makes the point that the goal of reading instruction is to comprehend and apply. The same is true of math! The goal of teaching and learning math is not to be able to compute or work through algorithms or memorize facts. It is to understand. To comprehend the meaning of all the numbers and their connections to each other and then apply that to real life. So if you’re familiar with these strategies, I hope this will give you new insight into how you can apply them to math instruction, and if you’re not familiar with these strategies, I hope this will be packed full of useful information for you! In reading, vocabulary (and figuring out unknown words) is an essential component of comprehension. In math, the task of knowing and determining unknown vocabulary is even more challenging because there are words that are specific to math and not used in everyday conversation. Math is a foreign language and it is important that we don’t take for granted the language used to talk about and describe math problems and situations. The good thing is, there are lots of different ways you can teach and help kids understand math specific vocabulary. Use graphic organizers such as a Frayer diagram or Venn diagram to compare words, find examples, etc. Every child has a schema, or set of knowledge, that is unique to them. Each child’s schema will be varied in its breadth and depth. Some may overlap, some may have a lot of prior knowledge (some may have a much larger vocabulary, for instance) while others may have virtually no prior knowledge. It’s important, however, in reading and math, to try and start with what they know and build on that knowledge. In fact, according to Marzano, research suggests that “what students already know about the content is one of the strongest indicators of how well they will learn new information relative to the content.” (This also means you may need to spend time determining what they know before you start). By starting with something familiar, students can then make a connection from the new concept to what they already know, helping to make sense of the new ideas, as well as helping with retention. This is the reason the first few lessons in my introduction to multiplication bundle focus on reinforcing and understanding repeated addition. This allows kids to take something familiar (addition) and think about it in a new way (repeated addition) and then form a connection from repeated addition to multiplication. So when you are planning math lessons, it is helpful for students if you start with the familiar and work towards building a bridge to new content. But it is also important to help students see how they can do this on their own to help them solve problems. When they look at a math problem, have them first ask themselves, “What do I know?” and then write that down. Look for things that are familiar (such as known vocabulary words) and see if that provides any insight into how to solve the problem. A popular method in reading instruction is to use a KWL chart (What do I KNOW, what do I WANT to know, and then what did I LEARN). This could easily be used when learning a new math concept as well, helping kids make those important connections! This leads me to the next literacy strategy: making connections. Helping kids use their prior knowledge gives them something to connect a new concept to. But students can make connections in other ways as well, and this is a very useful strategy to help them learn, apply and remember new math concepts. All of math is interconnected, and it’s important to help kids see the connections between one math concept and another. We also then, have to find ways to make connections between the math they’re learning and their life, and help them see math in the world around them. One way you can help kids form connections is to plan lessons in which connections are abundant. Be intentional in the way you present new topics. 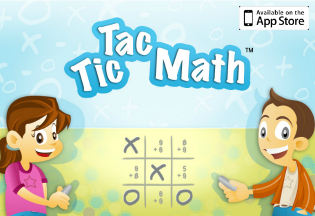 Teach it in a way that uses all sorts of other math to see and learn the new math idea. Sometimes it is helpful to point out these connections to students, and other times, encourage them to make the connections on their own. Eventually, you want seeing and making connections to be a habit, natural and automatic for kids. Having an idea about how to solve a problem and then seeing that that is either a valid method or not is what we do as mathematicians. It’s the crux of the problem solving process. Play around with ideas and numbers and see what happens. The problem is, this is not normally how math is taught. Often, students are told, “Here is the process. Do each problem exactly like this.” Students then memorize a procedure without understanding the concept or making any connections to prior knowledge or their world. Instead, encourage exploration. Encourage mistakes, and then have students analyze why a method did or did not work. Then have them try again. Help them look for patterns and see if they can generalize their observations. Just as students can make predictions about how to solve problems, they should also be in the habit of predicting the solution. This is called estimating. Helping kids get in the habit of estimating the solution is important though, because it will help them to self check and make sure that the answer makes sense in the context of the problem. They can use what is given in the problem as well as their prior knowledge to make predictions about the solution. For instance, in an addition problem, students should know that the final solution must be larger than the numbers they are adding. In more challenging problems, they should think about whether the solution should be positive or negative, large or small, a whole number or a fraction, exactly one solution or more than one solution, etc. I think the best way to encourage this kind of estimating is to constantly model it for kids. Talk out loud as you solve a problem and explain why you think the answer will be large and positive. Then talk through your thinking as you do the math. Just like reading a story creates a visual image in our minds, math problems should as well. When using visualizing to help with reading comprehension, it’s a good idea to underline or circle visual words (adjectives). Kids can do this with math word problems as well. Circle words that paint a picture and provide important information, and then use those words to draw a picture. Visualizing and drawing a picture is a helpful strategy because it provides kids with a mental image which will help them remember what they’ve learned. It can also help them break down a problem into easier to understand parts to make sense of it. If a problem seems overwhelming at first glance, spending time circling visual words and then drawing a picture of the problem can help make it less overwhelming. This is by no means an exhaustive list of literacy strategies, or ideas for how you can apply reading comprehension strategies to math instruction. 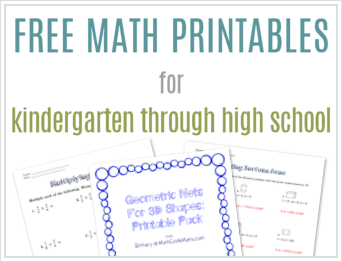 It is simply meant to give you a starting point and hopefully some good ideas for how you can encourage your kids to be thinkers and problem solvers who have a deep understanding of math and how it relates to the world around them. 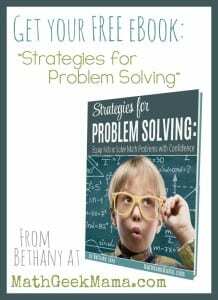 And if you’re looking for more strategies to help kids make sense of math, grab a FREE copy of my ebook, Strategies for Problem Solving: Equip Kids to Solve Math Problems with Confidence! Click HERE to learn more and request your copy! Yes! So many great ideas and tips! I love this!